What if the key to an organized shed is simply to ditch all your tools? Well, all tools but one. 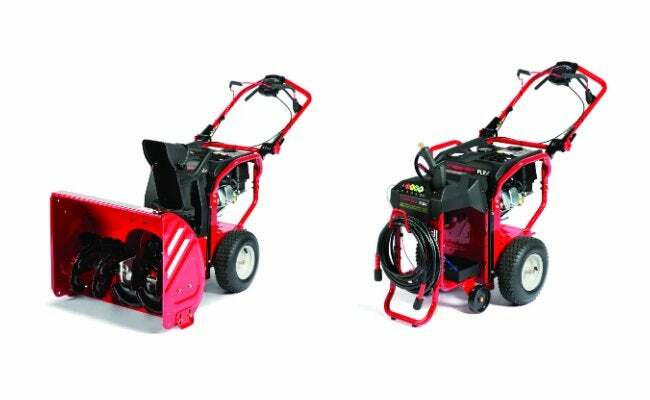 Troy-Bilt's newest system can mow the lawn, blast leaves, throw snow and much more. It may be the last outdoor tool you ever buy. Next spring, one yard care system is going to revolutionize the way homeowners stock their sheds. 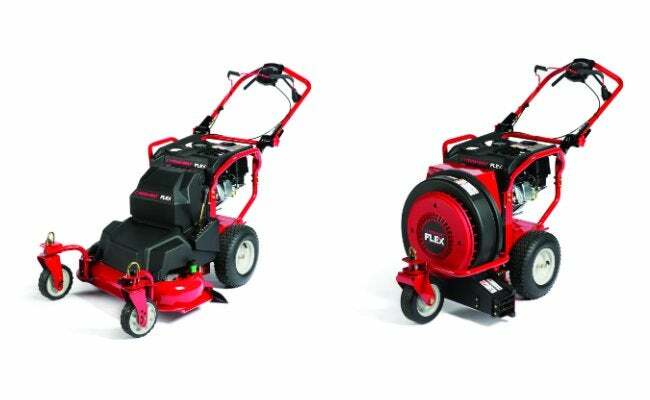 We’re used to such things as the lawn mower, leaf blower, snowblower and pressure washer all being separate machines, but the FLEX line, from Troy-Bilt, unites them all in a single, first-of-its-kind outdoor tool. Each attachment will be sold separately, in à la carte fashion. The only component all customers need to buy is the power base. From there, it’s a question of need. If you live in a warmer part of the country, the attachments you choose are very likely to be different from those chosen by a homeowner in the Northeast. The real advantage of the FLEX is how it frees you from having to store a bevy of single-function outdoor tools, each with its own bulky motor. 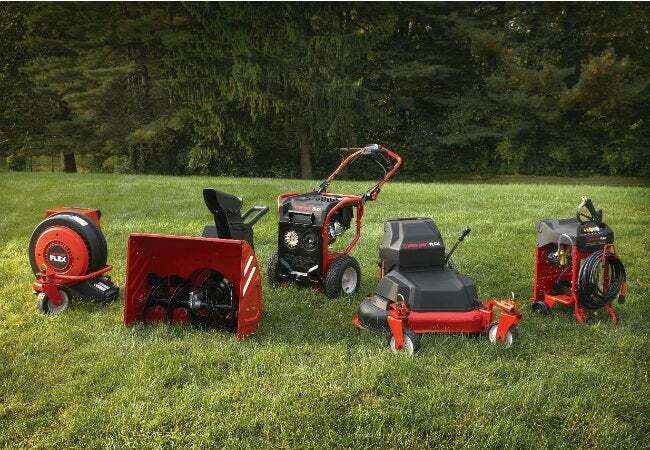 According to Troy-Bilt, the FLEX line takes up to 60% less storage space than a traditional collection of the same equipment. Plus, there’s only one engine to maintain. When the FLEX hits stores in March, the power base is expected to retail for $399, with a four-year limited warranty. Attachments will range from $279 to $499, each covered for two years. It may seem like a long time to wait, but we’ve waited so long to fit the car in the garage again, we can probably hold off a little longer.